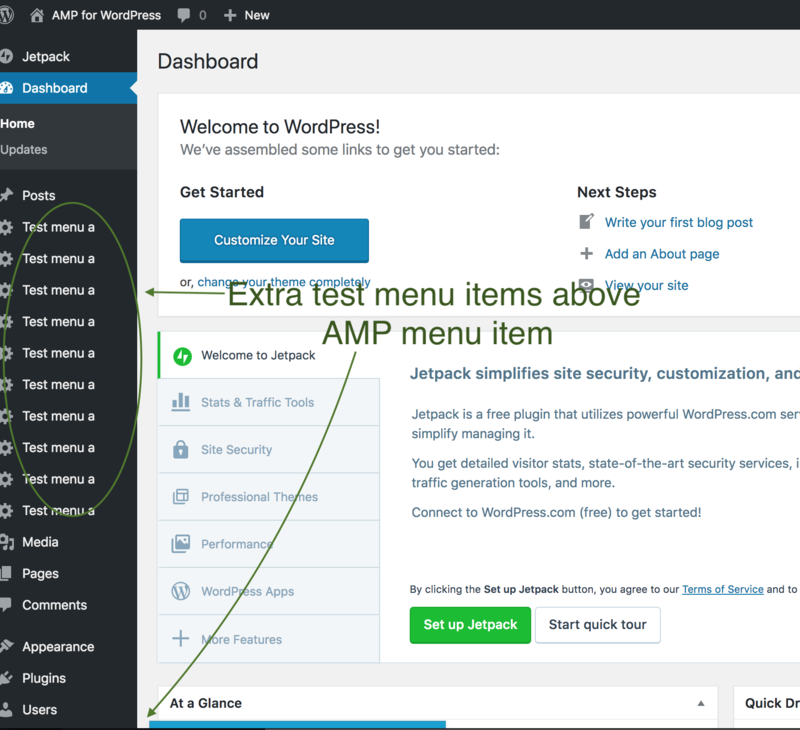 * Adds 10 test menu items above and below the AMP menu. This PR simply removes the position: fixed rule that caused the pointer to be hidden. But that has a side effect. The position: fixed style caused the admin pointer to always point to the AMP menu item. But now it doesn't. 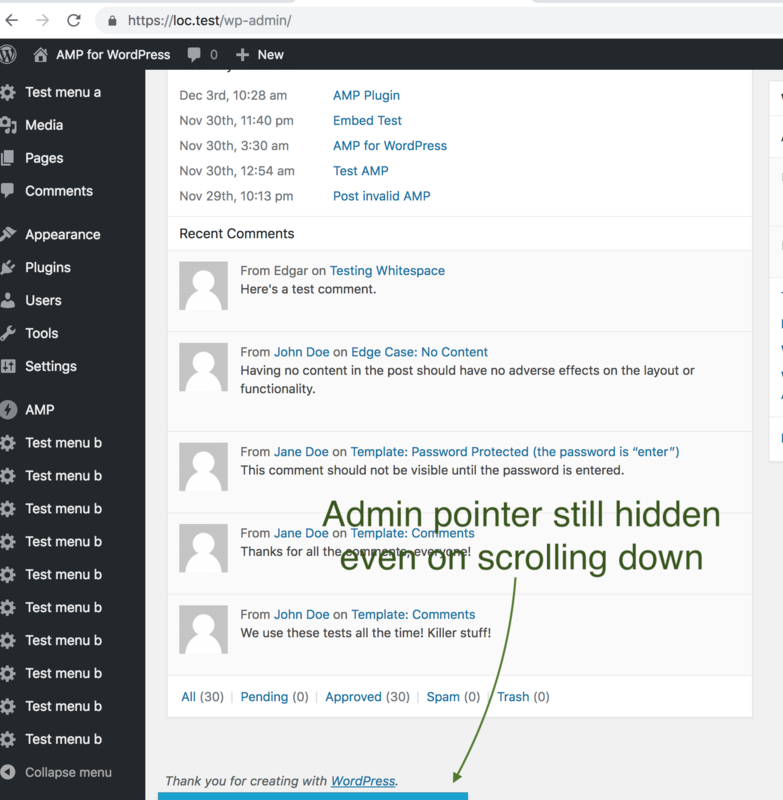 It looks like that's also the case with the privacy admin pointer from WordPress 4.9.6. Notice how the privacy admin pointer doesn't always point to the Tools. no matter how much you scroll. This looks to be because of the position: fixed styling. Could you please review this PR for #1689?